Hi again! I've been busy, setting up a secondary store, to try and get my little brand (JessideeHandmade) to go international! 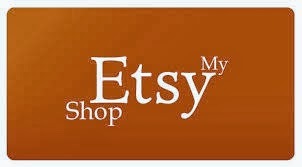 I've been setting up, and stocking a store over on Etsy, as well as keeping my madeit store puttering along! Anyway, I have another new baby card to share today! For this card, I started by selecting my papers, I wanted something bright, vibrant and fun for a new baby boy card. I then grabbed my digital images that I've had printed for a couple of weeks, and set to colouring up this Some Odd Girl digi. Usually, I leave her legs skin tone, and assume she's wearing a really short dress, this time, I gave her denim jeans.. I fussy cut her out, and set her aside, to build my card... I used patterned paper from Echo Park, as well as one from an unknown paper pad (it was given to me by a friend) I die cut some shapes, including the circle, pennants and scallop circle. I attached them all (with my usual doodling) and then focused on the sentiment, which I made using a wooden embellishment and a tiny tag, from the Stampin' Up! set Tiny Tags. I added a Freckled Fawn resin star, and a couple of sequins. 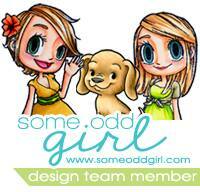 Some Odd Girl - Tag you're it! Adorable, thanks for playing along this week at FTH. Jess, this is such a cute card. Sweet image and i like the wooden sentiment and the other embellies. Great take also with the sketch ! Thanks for joining us @ From the Heart Stamps ! What a cute card!! Love your take on the sketch. Thanks for joining us at From The Heart Stamps. This card is just adorable!! Love the wood Hello and tiny tag. I'm so glad you joined the challenge at SOG this month! Super cute! Love that itty bitty tag! Thanks for joining us at SOG. Hope to see you next month!